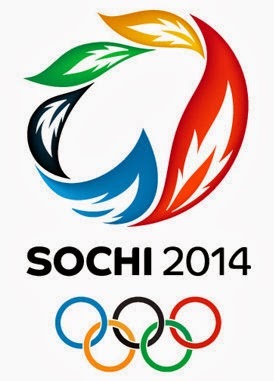 Earlier this week 300 players were named to the 12 teams participating in the 13 day tournament to be held at the 2014 Winter Olympics in Sochi, Russia. Of the 300 players set to represent their country, 150 are currently skating in the NHL. The chart below shows all 2014 Olympic players sorted by NHL team. This year, each NHL team pledged at least one player to the Olympic Men's Ice Hockey tournament with Calgary, Florida, Nashville and Ottawa offering the fewest (2) and Chicago, Detroit and St. Louis loaning the most (10), for a NHL team average of five olympic athletes. Similarly, each Olympic side has one NHL player on their roster. Canada (25) and USA (25) lead the field filling every spot with NHL players, followed by Sweden (24), Czech (17), Finland (16), Russia (15), Slovakia (14), Switzerland (8), Austria (3), Latvia (1), Norway (1) and Slovenia (1). The chart below shows 2014 Olympic players by NHL team and country. In terms of NHL team leaders by country, Detroit sent six Swedes, Columbus relegated four Russians, Chicago consigned three Canadians, New York Rangers and St. Louis acquiesced three Americans, New Jersey conveyed three Czechs, New York Islanders assigned two Austrians, and four (Anaheim, Minnesota, Pittsburgh, Tampa Bay) forwarded a pair of Finns while two (Chicago, Detroit) passed a pair of Slovaks. No team shared more than one player to Latvia, Norway, Slovenia or Switzerland. Breaking it down by conference, 72 Olympic skaters play in the West (48%) with the East offering 78 (52%). By division, the Atlantic leads all others contributing 40 players, followed by the Metropolitan (38 players), Central (38 players) and Pacific (34 players). The opening match of the 22nd Winter Olympic Games is February 12th, with the Bronze Medal tilt set for February 22nd and the Gold Medal game scheduled on February 23rd. Barring another agreement between the NHL and IIHF, this 5th Olympiad featuring NHL athletes may be the last.